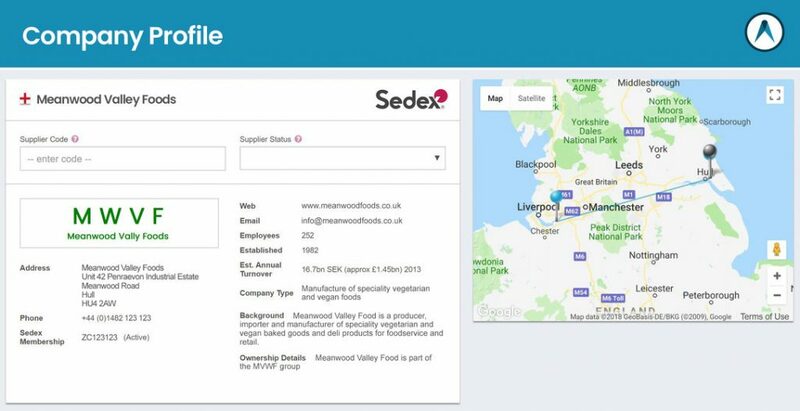 The Supplier Approval module links each of your products to a supplier profile within the directory. Once a supplier has accepted a link for their products, customers can instantly view a detailed company bio that has been built and maintained by Authenticate’s in-house data team, with live data feeds providing up-to-date compliance information. See your supply chains displayed in an easy-to-view format with geo-mapped locations of all sites including farms, factories and packhouses. 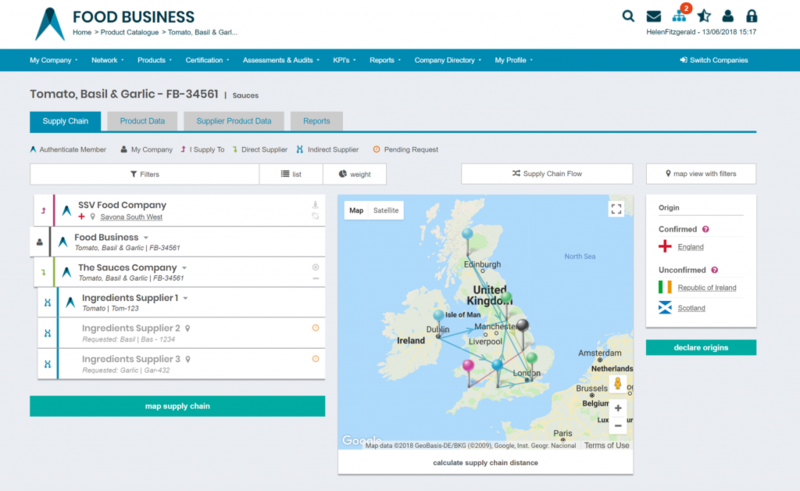 Built-in reporting tools allow you to map out your entire trading network to calculate food miles, verify countries of origin and monitor potential risks. The Supplier Approval feature tracks certification and compliance for you by maintaining a record of all automated industry-standard certificates and any other manual ‘in-house’ schemes that may be required. 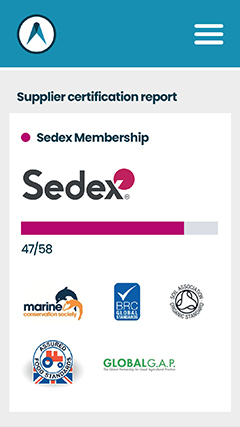 Access real-time data for many of the world’s most important certification bodies including Sedex, Red Tractor, BRC and many more to manage technical compliance as well as ethical and environmental standards. 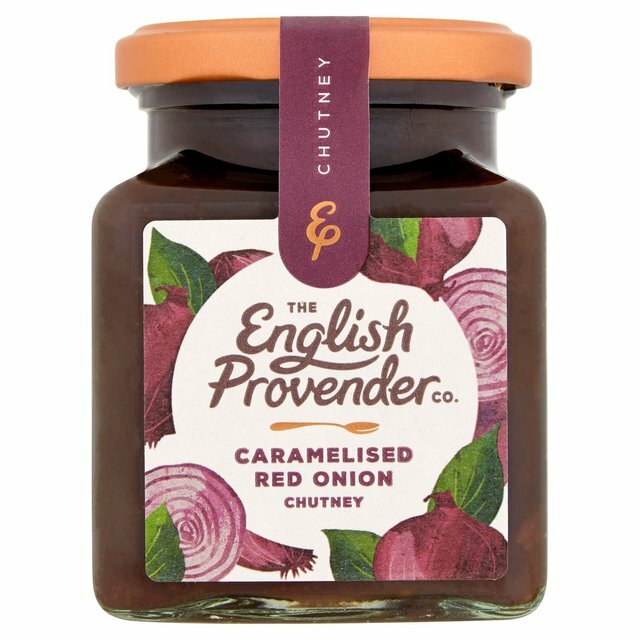 The platform’s fully customisable product catalogue with easy-to-navigate categories and subcategories allows you to enter, edit and update all of your product-level data in one place. 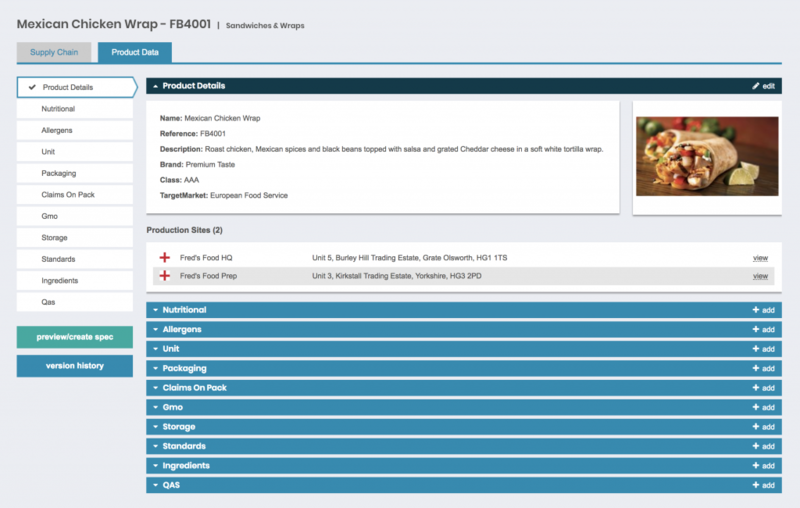 From nutritional information and allergens to packaging and storage instructions, the data deck is fully comprehensive and makes creating standardised data sets easy, for both simple and complex products. Turn on ‘direct data’ to cascade information from further down the supply chain automatically. 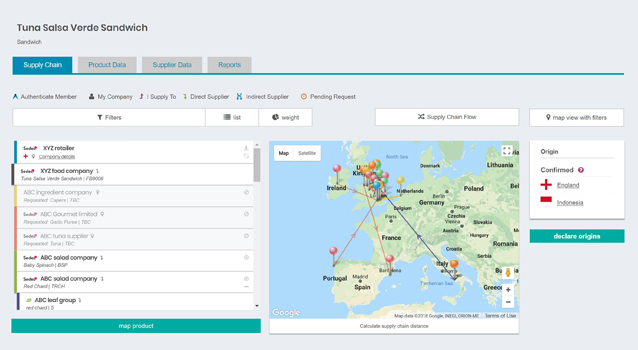 Log in to access your supply chain data from anywhere, safe in the knowledge that our UK-based client services team are on hand to provide help and technical support by phone or email. Whilst technology is at the core of our business, we understand that data collection and monitoring requires careful research and constant attention. We have a dedicated data team who check thousands of records, build hundreds of new company profiles and monitor the progress of full chains of custody.